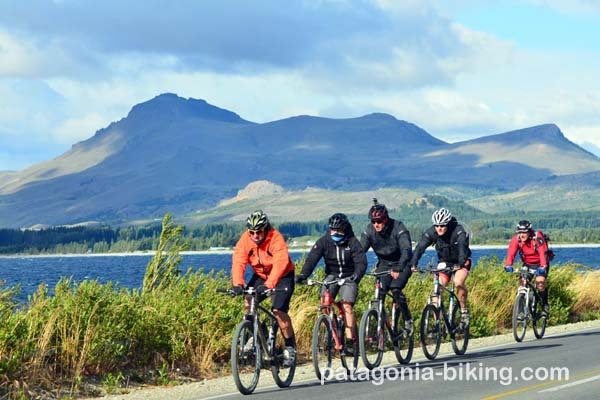 Crossing the Andes from the Pacific ocean to lake Nahuel Huapi. 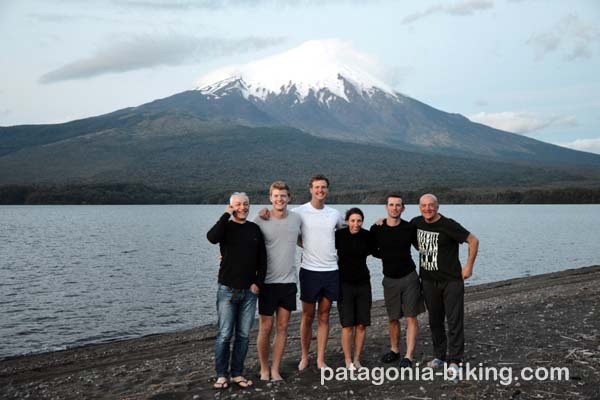 Riding through indigenous forests, patagonian lakes and mountains, climbing up the Osorno volcano with our bikes. We meet in Bariloche we have a welcome dinner. 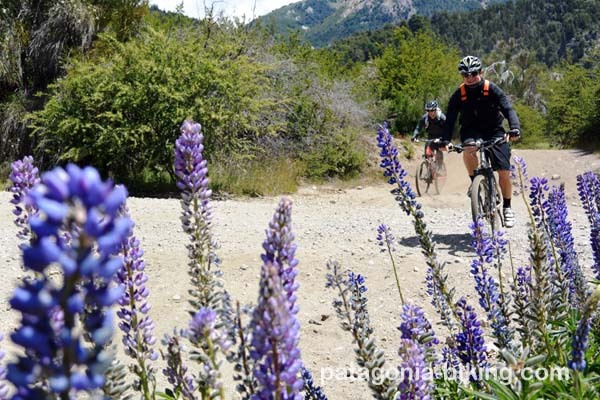 Tour around Lakes Nahuel Huapi, Escondido and Moreno. 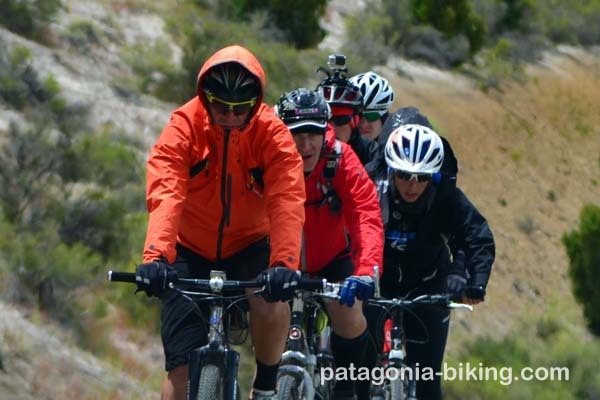 Also we ride through Colonia Suiza and take alternative roads and paths . 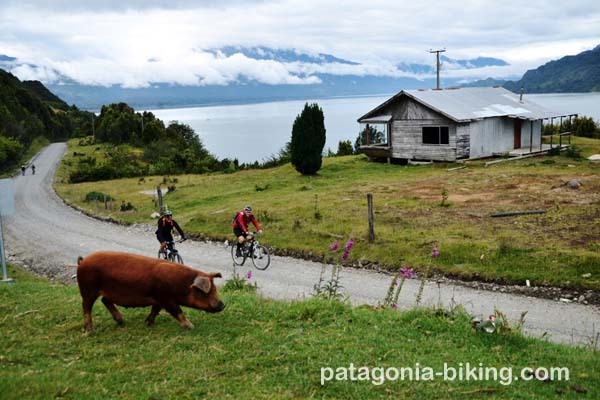 Day 3: Andes crossing to Chile – Puerto Montt. 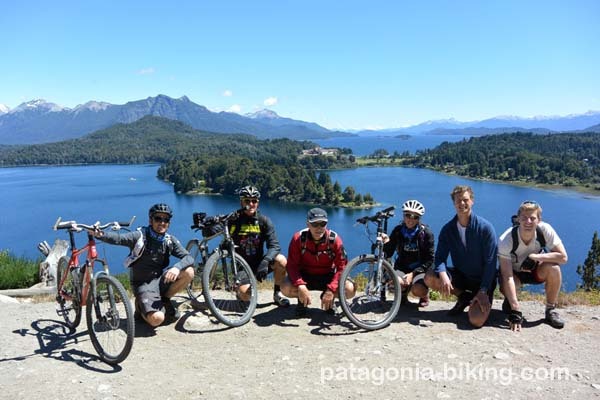 We travel to Puerto Montt by bus and bike along Lake Llanquihue (paved road ) to the Pacific ocean where our cycling trip begins. Free afternoon, you may visit Chiloé island on your own. We cross by boat to Caleta Puelche we continue cycling on a gravel road (45 km), in the Reloncavi fjord (by the Pacific ocean). 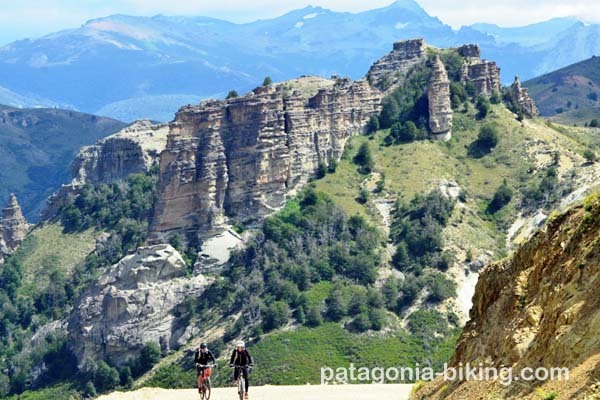 We stop at a cabins resort at the beginning of Puelo village. Daily biking ride: 65 km (15 km paved road). 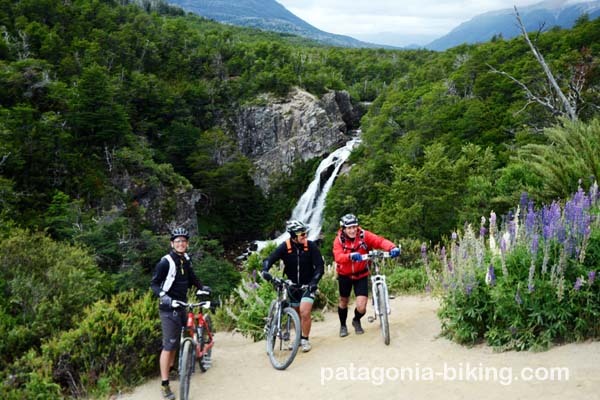 We continue cycling to the end of the fjord of Reloncavi, with several cliffs with great views to the Pacific ocean. The ocean seems like a lake in this section surrounded by leafy forest with ferns and big leaves called nalcas. 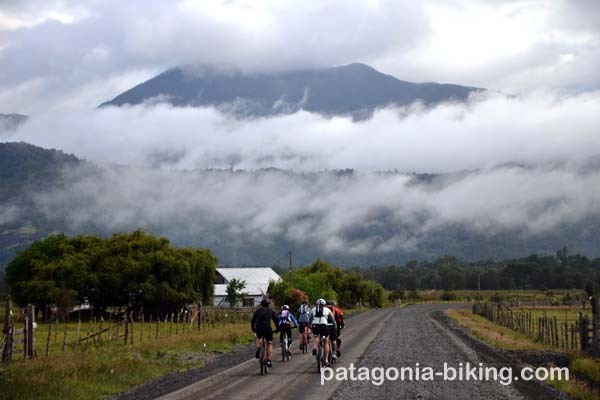 We cycle through a small village called Cochamo. Daily biking ride: 75 km (45 gravel road). Smooth ride. 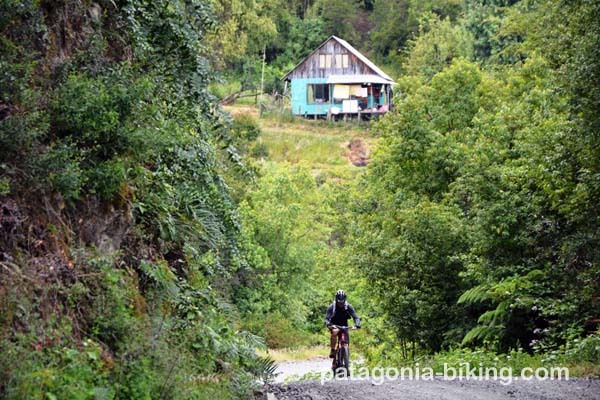 Lodging: at cabin by Llanquihue lake shore. 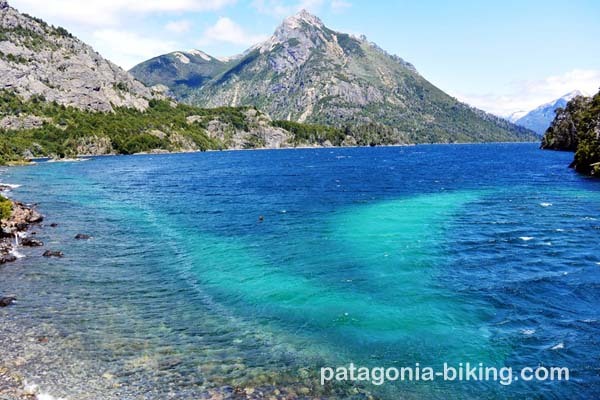 We take the famous road of the 7 lakes “Camino de los siete lagos”, which goes through the Nahuel Huapi and Lanin national parks. 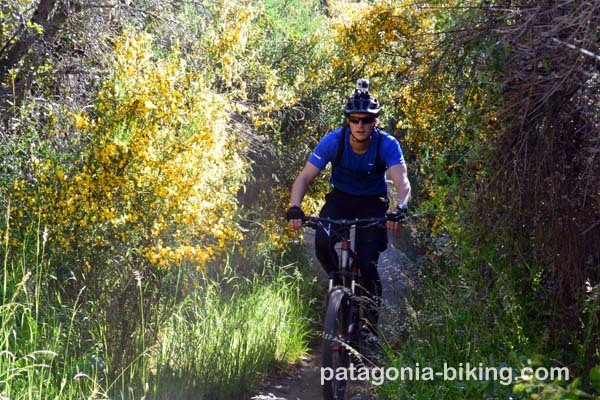 It is an undulant road through Andean leafy forest cycling by the lakes shores. 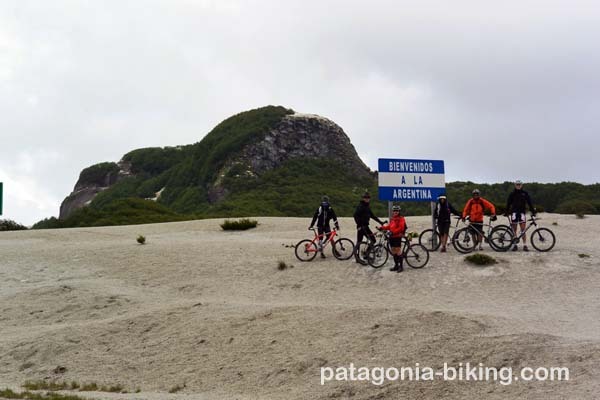 We start cycling by the Meliquina lake shore. 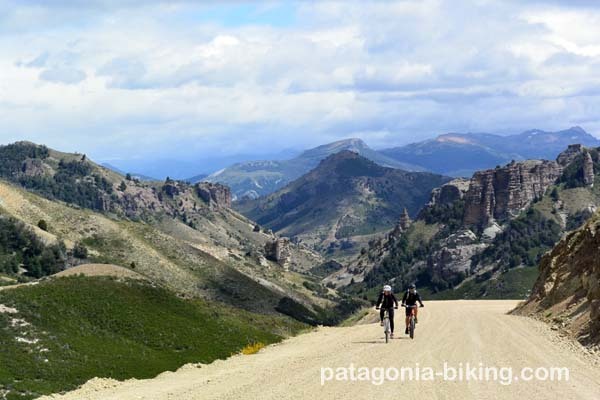 We ascent to Córdoba pass with a spectacular panoramic view. 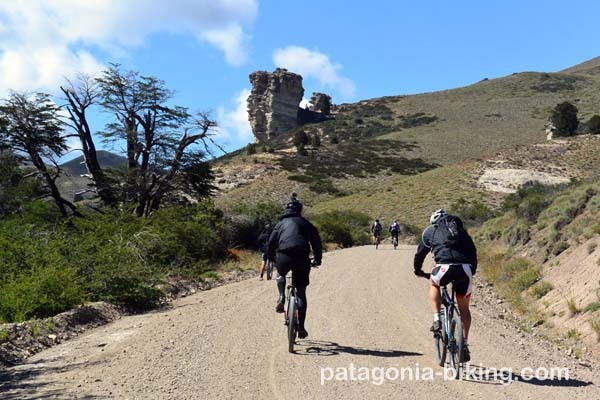 We descent to Confluencia where the rivers Limay and Traful join, with beautiful rocky surrounding, with funny rock formations. 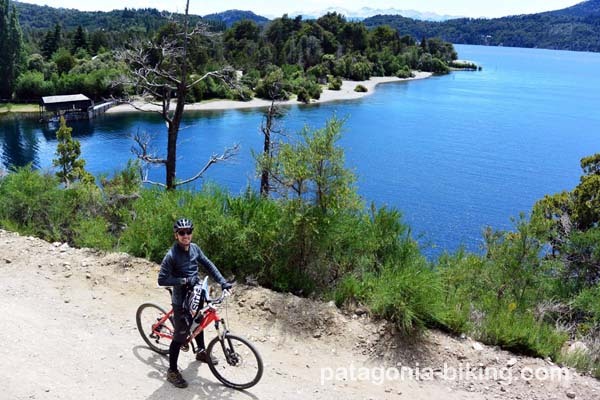 We cycle by the Limay river shore for about 25 kms in a narrow valley. 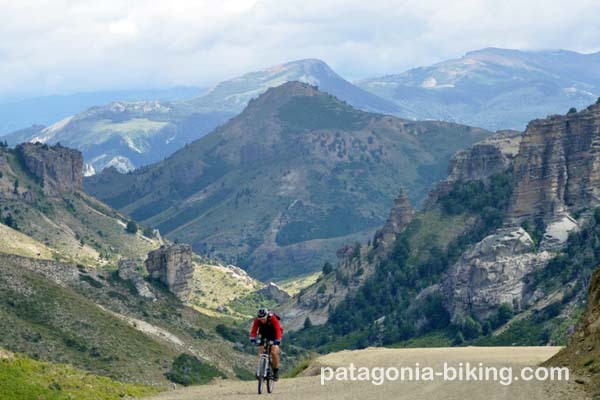 The we cross the Limay river over a hanging bridge, at Villa LLanquin and continue cycling on gravel trails by the river shore with great steppe landscape surroundings arriving to Bariloche in the afternoon. At night farewell dinner. Daily biking ride: 75 km (50 km on paved road). 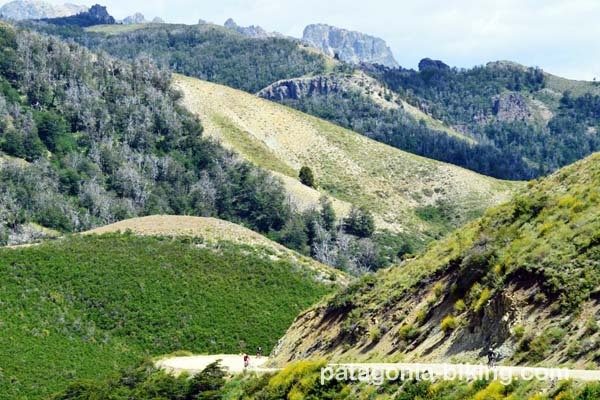 Bariloche and surrounding areas. Puerto Montt (Chile). Lake Llanquihue. Volcano Osorno. Hot springs. Puyehue Pass (1350m). 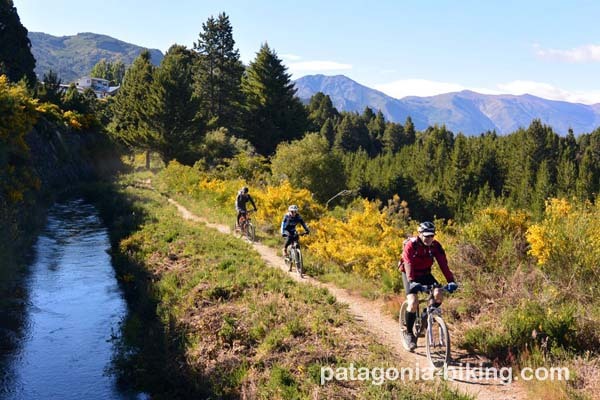 Argentina: Villa la Angostura. 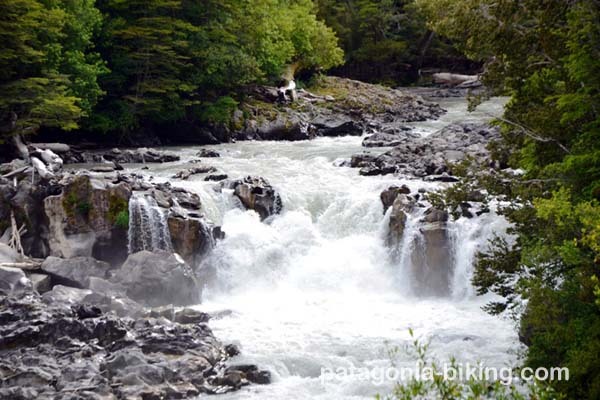 Arrayan forest (Quetrihue Peninsula).Nahuel Huapi ,Lanin Naxional park, “Camino de los Siete Lagos”, San Martin de los Andes.Bariloche. Biking days last approx.. 5/6 hr.. and are split in two legs, morning and afternoon. Normal cycling speed is approx. 17km/h. Those who might feel tired can use the support vehicle. We cycle about 80 km per day with about 800 m level difference per cycling day.